2, Bibi project static page is completed. On September 29th, the SEER developer community provided a faucet service based on the SEER test network: faucet.seerchain.org and a test web wallet with this faucet: testnet.seerchain.org. Users who register their accounts through this wallet faucet will automatically receive 500,000 SEER test coins and 10 million BTC test coins for experiencing SEER functions. At the same time, community developers have optimized the existing graphene faucet configuration process and initially prepared a one-click installation command for the ruby on rails environment on which the faucet relies. In the next step, the faucet deployment guide document will be released for the convenience of DAPP developers. The application of this faucet function is of great significance to the promotion of DAPPs. On September 30th, SEER community developers once again held a small offline meeting to further explore issues such as API calls. For the wallet module that Saiya Planet developers did not cover in the design, the implementation of related functions was discussed by taking the coin ratio prototype as an example. The SEER documentation site: https://docs.seerchain.org. provides the latest development information for SEER. The document station is maintained by github. It has natural multi-user and version control management features. It is hoped that community developers can participate in the improvement of documentation. At present, there are more than ten DAPP project teams/community developers joining the SEER developer community. 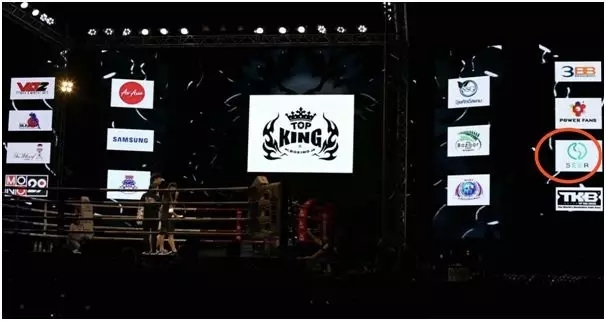 On September 29th, the world's top Thai boxing TOPKING WORLD SERIES was held in Koh Samui, Thailand. The sports industry public blockchain SEER is the partner of the event. The SEER fans of the Lutai received the tickets for the match and watched the match. At the same time, there are fans received the tickets for the match in Chongqing on October 28. 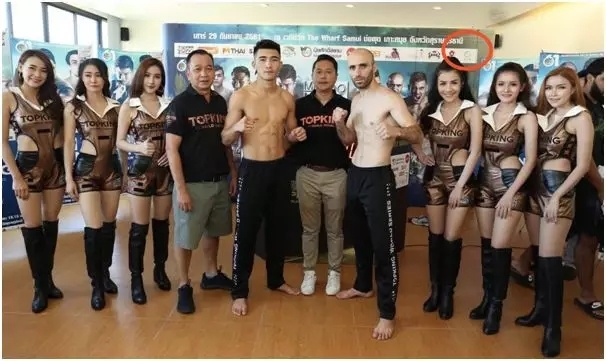 The TopKing World Series is an international top competition with a high level of boxers, entertaining event, champions, and a favorite among international boxing fans. For example, Buakaw Banchamek, the two K-1 MAX Muay Thai prince, and Marat Grigorian, the K-1 WGP first generation 70KG king, and Fang Bian, a China unbeaten "Fighting God", and Yodwicha Por Boonsit, a Thailand's new generation of kings ", and Samani , a Thailand's most box-office genius boxer and so on. The top international fighters have staged exciting matches in the competition. (1)At present, SEER has established overseas expansion operations teams of more than 10 people in Beijing and Osaka, and established overseas communities such as English and Japanese. The number of telegraph groups is nearly 20,000. From September 24th to September 30th, (1) The Translation Campaign of the global expansion team of the SEER English Zone started the global bounty campaign. And we received lots of articles in Vietnamese, Slovenian, Russian, Arabic, Filipino, and Indonesian, and derived lower-level activities such as Lucky Floor Bounty Campaign, Free Talk Bounty Campaign, and Invitation Bounty Campaign. Through these activities, more people can understand SEER. 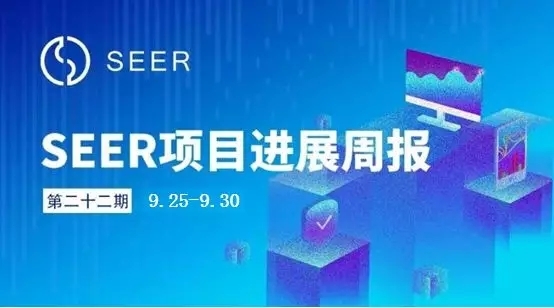 (3) From September 17th to September 23rd, the SEER English team translated and published the SEER 21st Weekly Report in the developer forum, telegram English community, etc., and synchronized to the official website twitter, facebook, steemit, bitsharestalk, Medium, etc.. At the same time continue to assist the Powerfans team and the SEER developer community to do some technical documentation and translation of the DAPP interface. (4) The SEER Japanese District Expansion Operations Team communicates with SEER's Japanese community enthusiasts. The SEER Chinese operation and development team continued to carry out daily Q&A maintenance and technology promotion on the media/forum platform such as BiHu, Biask, 8Bit, and Zhidian, and answered questions in the telegram Chinese group.  Technology Group I SEER blockchain stress test tells what is called "black technology"
 SEER super welfare is coming! 5,000,000SEER is ready for you!